After a bit of a bloggy break - pop over to my big blog for news about that - I have cleared the dining table once again. I don't do that for just anyone. 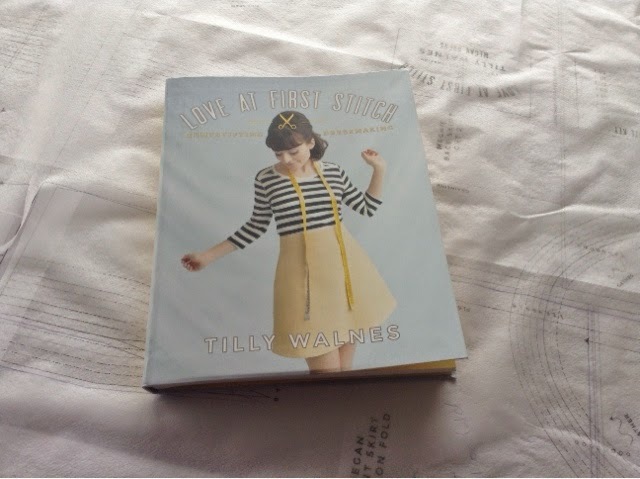 I invited Tilly Walnes, of Tilly and the Buttons fame, to join me. After a brief bit of umming and ahhing, I ordered her lovely first book, and am cracking on with my first challenge. Now I am really not sure how this project will go, as Tilly and I are quite different in proportions. She is apparently tiny. You couldn't say that about me, with my jutting bossom and ample hips. I also consider my knees and above strictly for private display only, in a very prim and proper way, so I know there will be some lengthening required. Tilly's designs are very sweet and girlie in a clean and simple way. She admires Breton stripes and self-covered buttons. I think she possibly wishes she was French. I can imagine her tootling around on a vintage bicycle with a bag of baguettes and bunches of flowers. 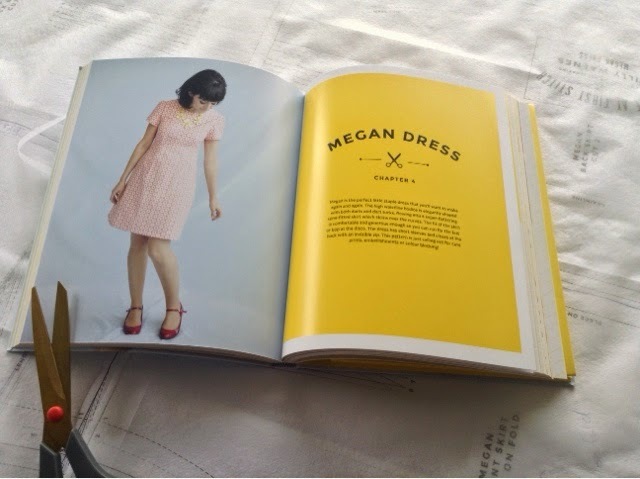 I decided to tackle the "Megan" dress as I admire how simple it looks, and if I can make it work for my body, it would be a fantastic basic wardrobe item to create over and over. Tilly's version is above the knee, so I'll be adding several inches. I'm fervently hoping a FBA isn't required, but I guess this would be a great pattern to practise on. I'm also hoping that there is a lovely skimming effect over my tummy, which expanded in generous response to all of the delicious food I encountered on my recent holiday. The pattern is now made, so I'm going to dig out some old sheeting to make a muslin ( or should I call it a toile in honour of Tilly's imaginary bicycle rides through French brocantes).